getcalc.com's Fracture Toughness Calculator is an online mechanical engineering tool for material analysis to calculate the resistive ability of any material against fracture, in both US customary & metric (SI) units. 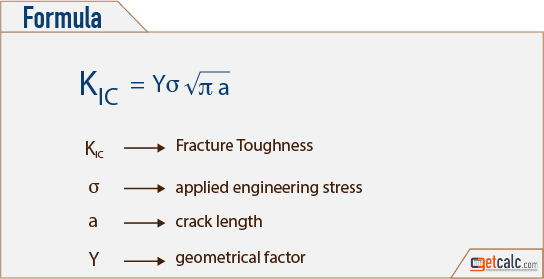 Fracture Toughness is a resistive ability of material against fracture. It's one of a fundamental analysis for any material to design, test & manufacture mechanical applications.